Laserfiche congratulates 26 of its customers for being named top digital cities in the United States by the Center for Digital Government (CDG) in the annual Digital Cities Survey. Now in its 15th year, the survey recognizes cities using technology to improve citizen services, enhance transparency and encourage citizen engagement. Judges considered 10 key characteristics—including openness, mobility, engagement, collaboration, security, staffing, connection, efficiency, resiliency and innovation—when evaluating survey submissions. 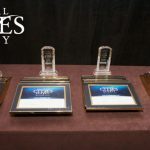 · Ithaca, NY: New to the list of Top Digital City winners, the City of Ithaca’s officials emphasize public service as a common thread that ties major policy to everyday operations. Among the city’s numerous technology initiatives, Ithaca uses Laserfiche to automate and streamline the process for responding to public information requests, reducing the time it takes to fulfill a request by 35 percent. · Newport Beach, CA: Newport Beach launched a modern website with robust functionality, including a map that allows residents to see activities—from police activity to animal control calls—taking place around them. The map interfaces with the city’s building permitting system, which is automated using Laserfiche. The Laserfiche automation enables the public to view building permits online within one minute of when the city receives them. 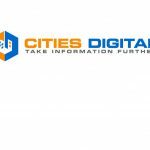 · Westminster, CO: Westminster makes the Top Digital Cities list for the sixth consecutive year for its increasing emphasis on online services. The city’s website hosts 23 forms and payment options for residents and businesses, including new electronic forms for business and liquor licenses. By using Laserfiche to make the application process paperless and automated, the city reduced data entry errors and processes licenses 57 percent faster. · Roanoke, VA: First place in the 75,000-124,999 population category this year, Roanoke earns continuously high marks for its attention to digitally accessible government, commitment to cybersecurity and progressive approach to navigating the talent landscape. The city integrates its Laserfiche system with line of business applications to enable self-service for citizens, freeing up employee time to perform other duties. · Long Beach, CA: The rapidly growing City of Long Beach makes its sixth consecutive appearance on the Top Digital Cities list, recognized for its commitment to using technology to provide 24/7 mobile access to government services and data. The city embraced Laserfiche software to give police officers instant access to information they need to prevent gang crime right from officers’ patrol cars—an initiative that boosted gang arrests by 650 percent in one year. Other Laserfiche customers that were named top digital cities include: City of Los Angeles, CA; City and County of San Francisco, CA; City of Virginia Beach, VA; City of Riverside, CA; City of Sacramento, CA; City of Henderson, NV; City of Alexandria, VA; City of Hampton, VA; City of Winston-Salem, NC; City of Denton, TX; City of Modesto, CA; City of Rancho Cucamonga, CA; City of Norfolk, VA; City of Augusta, GA; City of Lynchburg, VA; City of Boulder, CO; City of San Leandro, CA; Village of Schaumburg, IL; City of DeSoto, TX; Town of Marana, AZ; and City of Hudson, OH. 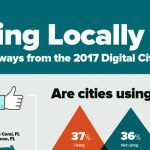 For a full list of winners, visit www.govtech.com/dc/digital-cities/. For more information about the benefits of enterprise content management (ECM) technology for state and local government, visit www.laserfiche.com/solutions/state-local-government/.